Being strongly linked with a move away from his club As Roma, Italian international midfielder, Daniele De Rossi, might soon continue his journey with the Giallorossi especially after the club’s new tactician, Luis Enrique stated the importance of the vice captain to the capital club. The former Barcelona B’s trainer believed that De Rossi will be an important key element in his formation next summer, that’s why he’s hoping that the player also feels that he is still a key part of the team and immediately sign an extension with the Roman based outfit. 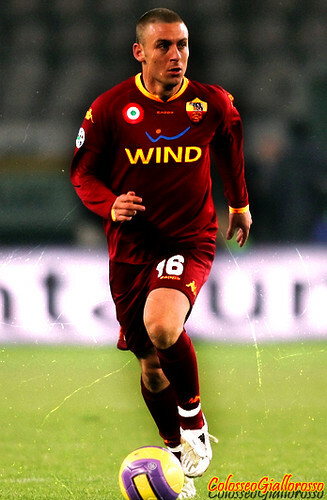 “He is one of the most important players around, not only at Roma, but in Italy and the world. For me he is fundamental, a key element. I hope he feels a part of this project,” Enrique stated. Moreover, Enrique also admitted that he already knew the quality of De Rossi before he starts coaching the club and now after he already lead the team’s training session, the young tactician is more impressed with the Italian international. According to the former Spanish international player, the 27-years-old midfielder is very likable, humble and have a strong will to win for the club, a characteristic that pretty much suits Enrique’s plan. I already knew him as a player, but I like him even more now that I know him as a person,” Enrique added. “It’s nice to see his hunger to win, but also how he listens. He works with humility to place himself at the disposal of the squad. Enrique’s indication simply noting that De Rossi is still needed in the club as he possessed the quality that the new Roma really needed in competing in tough competition such as Serie A or even in doing well in the Europa League. With the coach’s approval, surely the Giallorossi’s management will be working harder to convince the Italian international in extending his current deal with the capital club as his contract would end in 2012. That current contract situation is the reason why he is being after by several big clubs and notably the latest interest comes from EPL giant, Chelsea, who are looking for a quality midfielder to replace the injured Michael Essien. The Blues surely have enough cash to persuade the Italian international, especially in terms of wages because the tax difference in England and Spain, but should the midfielder can be convinced by the Giallorossi’s future than his stay at the Italian capital looks imminent.